We go through a lot of coconut milk/cream in my house. While I started out buying canned coconut milk at Whole Foods or Sprouts, I eventually realized that that wasn’t the healthiest or most cost-effective option. 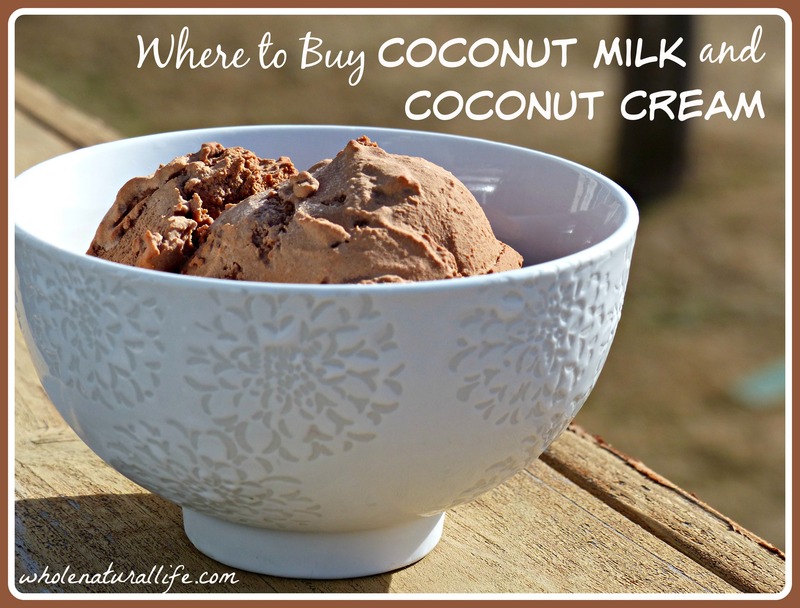 If you’re new to incorporating coconut products into your diet, I wanted to share what I’ve learned about shopping for coconut milk over the last few years. It has no preservatives, gums, or other potentially sketchy additives. Coconut is the only ingredient. This was a huge plus for me when I was on the GAPS diet. You can buy it in tetra paks, rather than BPA-laden cans. It comes in a 4 cup size, which is great when you’re making one of my ice cream recipes, nearly all of which call for at least 3 cups of milk. You can for sure get Aroy-D coconut milk and cream online. But in my experience, by far the best place to buy it is your local Asian market. Back when I lived in Boulder, Colorado, we used to shop at Pacific Ocean Marketplace, the Asian market in Broomfield. I don’t remember exactly what price I used to pay, but it was much cheaper than any of my other options. Now that we’re living in California, I get Aroy-D at 99 Ranch, a local Asian market chain. 99 Ranch’s price is also excellent. Now I obviously haven’t lived all over the country, but if you have a nearby Asian market I’d highly recommend checking it out to look for coconut milk. So far we’ve only had success with larger markets, but your mileage may vary. If you can’t find Aroy-D locally, you can get milk online here and cream online here. Should Coconut Milk be Organic? Aroy-D coconut milk and cream is not organic. Based on the research I’ve done on this, though, (such as this post), coconut products have virtually no pesticide residue. I’m comfortable buying non-organic coconut milk, but you’ll of course have to make that decision for yourself. What Can You Do with Coconut Milk and Cream? I also have a lot of recipes in my Crazy for Coconut e-book, which you can check out here.